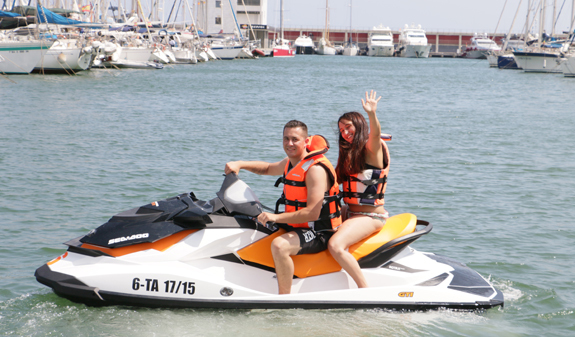 Jet Skiing is a guarantee of fun and adrenaline-fuelled excitement. The perfect leisure activity to help you unwind. 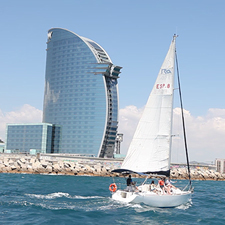 Zoom through the waves along Barcelona's coastline on a Jet Ski. 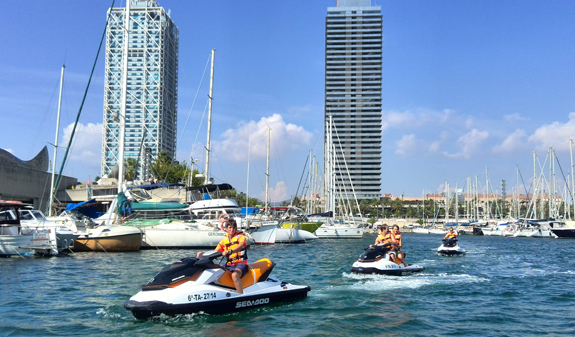 Jet Skiing is a great activity you can do on your own, as part of a couple or with your group of friends. 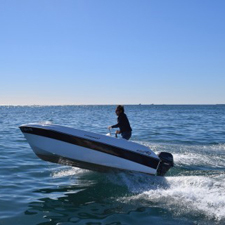 Try it and you'll see how exciting it is to feel the wind on your face while you drive this motorised watercraft. The activity is completely safe and only six Jet Skis are allowed out at one time. The trips are supervised at all times by an instructor. You can go Jet Skiing all year round. In winter and autumn you'll be issued with a neoprene suite to protect you from the cold. Jet Ski hire according to the chosen length of the trip: 30 minutes or 1 hour. Qualified instructor on hand to help with any questions or problems. From May to September: daily, from 10am to 8pm. 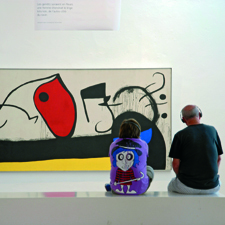 From October to April: from Monday to Friday, from 10am to 7pm. Length: 1 hour or 30 minutes. 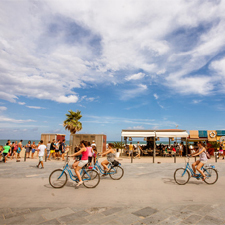 Meeting Point: Moll de la Marina, 11. Port Olímpic. Metro: L4 Ciutadella-Vila Olímpica. Bus: 36, 45, 59, 71, 92, V21 and H16. Tram T4: Ciutadella-Vila Olímpica. Each participant drives his Jet Ski. You should wear a lifejacket. A minimum distance of 50 metres must be kept between each Jet Ski. During the trips, the Jet Skis must remain 200 metres away from the beach. When entering and leaving the port, the Jet Skis must keep to a speed of 3 knots until they reach the marker buoys at the port entrance. Any clients who fail to comply with the safety measures will have their Jet Ski deactivated and be towed back to port.